The Chinese province of Guangdong, also dubbed “the southern gate” of China’s foreign trade, tells the story of the 21st Century Maritime Silk Road with its unique geographic location, special economic zones, first-class port for direct import and export, long coastline and vast sea area. Located at the southern point of the Chinese mainland, Guangdong borders Hong Kong, Macao, Guangxi, Hunan, Jiangxi and Fujian and faces Hainan across the strait. Seeking to enhance the Maritime Silk Road, China built the Guangdong-Hong Kong-Macao Greater Bay Area and is promoting this province to showcase the fruit of China’s reform and opening-up. Guangdong played a highly pivotal role in the ancient Silk Road, as it was one of China’s busiest trading centers. Guangdong’s capital city Guangzhou was a major port of the Maritime Silk Road, and gained global fame as the largest port in China. The sea route connecting Guangzhou and the Persian Gulf via the South China Sea and Indian Ocean was the largest offshore route in the world. China shipped its ceramics, tea and other products via various trade ports along its southeast coastal route to Southeast Asia, the Middle East and Europe, facilitating mutual understanding and exchanges between different civilizations. 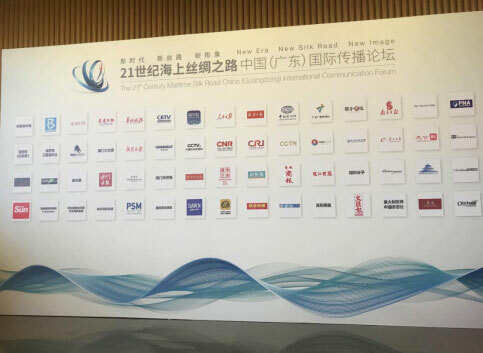 Zhuhai, known as the “City of A Hundred Islands”, hosted the second 21st Century Maritime Silk Road China (Guangdong) International Communication Forum under the theme of “New Era, New Silk Road, New Image” from last Wednesday through Friday. The three-day forum was attended by world leaders, media delegations, well-known politicians and professors, including 2011 Nobel Memorial Economics Prize winner Thomas Sargent. In the opening ceremony, officials called for multilateralism, strengthening the spirit of the Silk Road and working together to build a community with shared future. Jean-Pierre Raffarin, former prime minister of France, reiterated cooperation and multilateralism. He was highly optimistic about the Belt and Road Initiative, calling it “a perfect project” that would benefit the entire region. The forum unfolded a new image of innovation and opening-up in Guangdong, and emphasized the achievements of local enterprises in intellectual manufacturing and cultural innovation. Guangdong remains highly competitive in the global market. In 2017, total imports and exports at provincial level amounted to 6.8 trillion yuan. Official statistics show Guangdong’s GDP reached 8.9 trillion yuan last year, ranking first among all Chinese provinces. Guangdong has opened wider and wider to the outside world and fostered its own strengths. 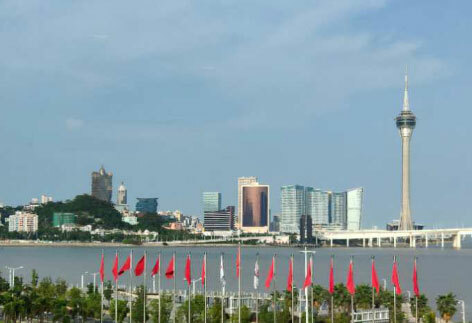 Three Guangdong pilot free trade zones – Nansha area in Guangzhou Qianhai and Shekou areas in Zhenzhen and Hengqin area in Zhuhai – were established in Guangdong, which play a significant role in China’s foreign transportation and trade. Guangdong is a crucial hub on the MSR, and the frontline of China’s opening-up policy. This province has deepened industrial collaboration with countries along the Belt and Road, and seeks to reinforce the “go global” and “bringing in” approach.